When viewing your main Expenses screen you’ll find an “Import” option in the utility bar. Clicking this option allows you to upload a CSV file from your bank account or credit card. CSV is one of the most common and simple file formats available for download from most banks. You can typically download a CSV file of your monthly bank account or credit card statements, or your bank might even let you select your own date range of transactions for the CSV file. After you’ve selected your CSV file in Harpoon you’ll be asked for some quick information about the file. 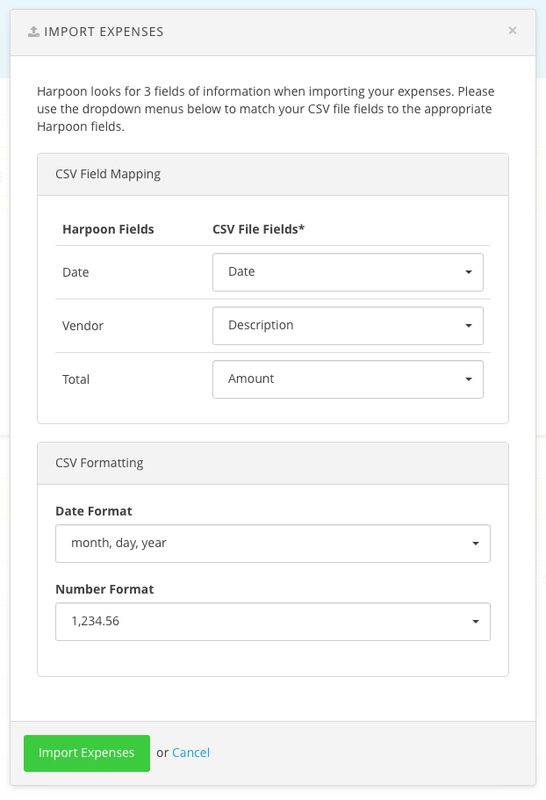 This information helps Harpoon translate your CSV file properly so that all of your expenses end up neat and tidy once imported into your Harpoon account. All that’s left to do is click the Import button and your new expenses will be recorded in Harpoon. 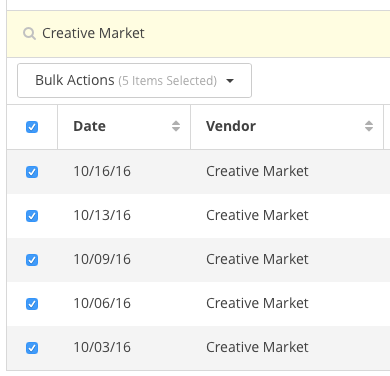 At this point you can use a combination of filters, live search, and bulk actions to do any clean up to the newly imported expenses that you feel is necessary. For example, your bank might have an “ugly” way of recording the names of your vendors and you might want to clean up those names to something more friendly. And of course you’ll want to assign expense categories to any newly imported expenses as well. We’ve also included some “invisible” features that will save you even more time. Harpoon will remember any vendor or category edits you make to your imported expenses and automatically apply those changes the next time you import an expense with the same original vendor name. It’s a great “edit-once-and-forget-it” experience. If you haven’t already you should have a dedicated bank account or credit card to handle all of your business expenses. This keeps your personal spending separate from your business spending. 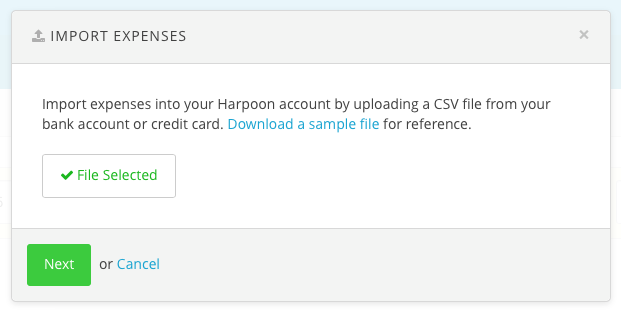 And then once a month you can import a CSV file of your latest bank account or credit card statement into Harpoon, handling a month’s worth of expense tracking in just a few minutes.